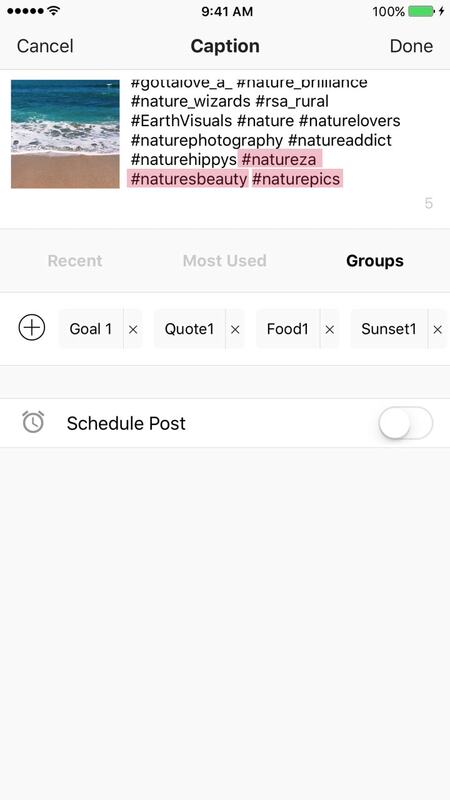 How to Edit my Instagram Hashtag Groups in Preview App? One of my favorite features in Preview app has to be the hashtag groups. Because I don’t need to go from one app to another to copy & paste the hashtags. I can create as many Instagram hashtag groups / bundles / lists as I want (I have…like… 25 hashtag groups…. #timesaver). 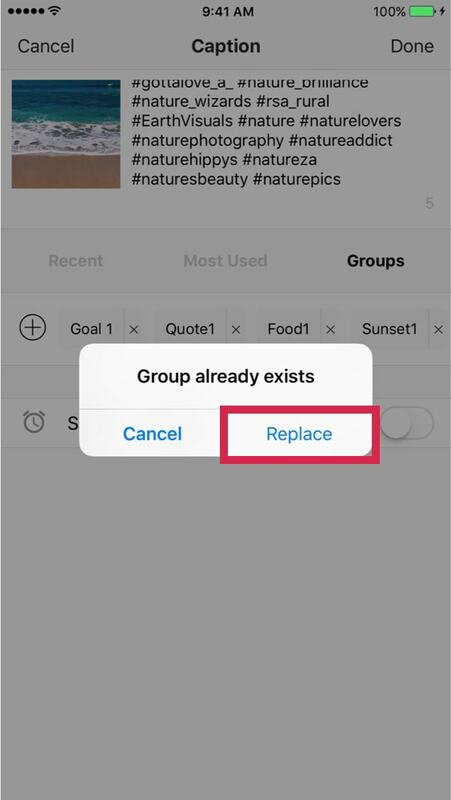 And when I prepare a new Instagram post, I just have to “tap” the group to add it to my caption. Anyways. 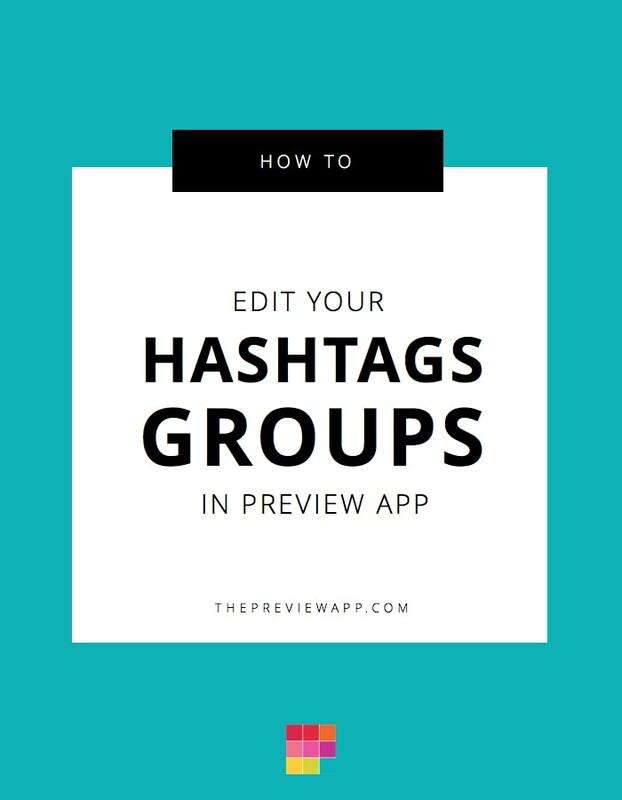 You’re here because you want to know how to edit your Instagram hashtag groups in Preview app. A bottom bar will appear. The caption section is the second last icon (the bubble). 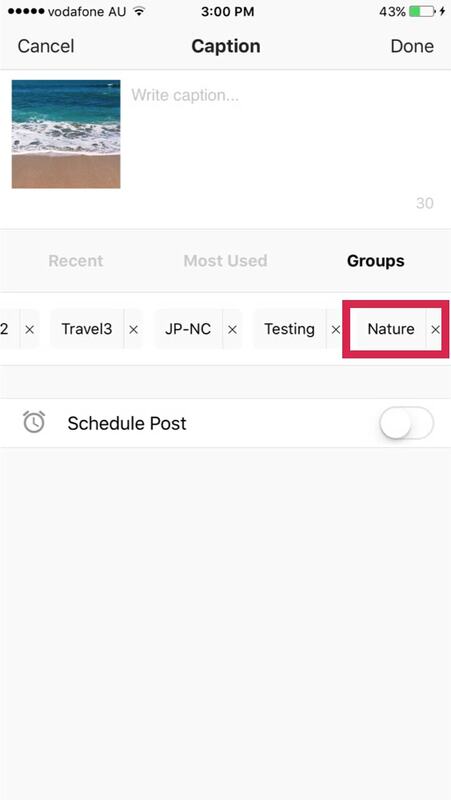 In my example, I want to edit the “Nature” hashtag group. So I am going to go ahead, and tap “Nature” to add it to the caption. Remove or add new hashtags. 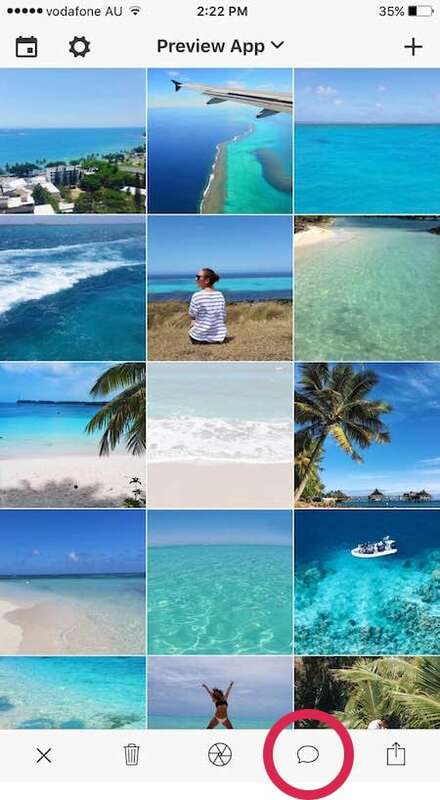 In my example, I added: #natureza, #naturesbeauty and #naturepics. Now type the exact same name you currently use for the # group. 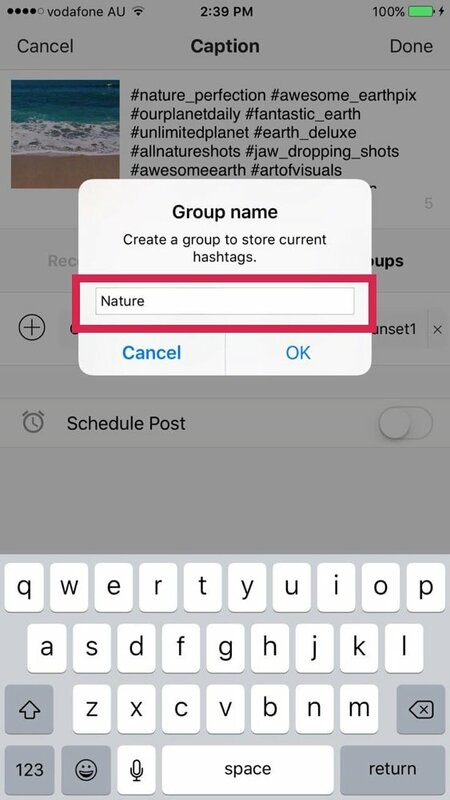 In my case, I wanted to edit the hashtag group called “Nature”. So I will type “Nature” again.